Fresh new work from Sheffield based illustrator and street artist Phlegm, who continues to blow us away with his black and white street work. His latest piece of work pictured, has been painted on an old oil tanker which has been beautifully captured by photographer Mark Blundell. 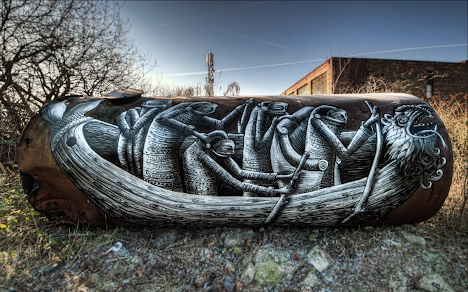 Check Phlegm's blog to see more of the artist work.